 AGM Precision Machining is Tucson, Arizona’s one-stop-shop for all turning and milling needs: 19 Machines, ±0.0005” tolerances, and 48 years of experience in the aerospace and defense business. AGM Precision Machining offers full support for contract manufacturing, including services such as design review and consultation, prototyping, QA, full-run production, packaging, and more. ISO9001/AS9100 certified Quality Management System, First Article Inspections, Automated and Manual Coordinate Measuring, Single-Source Responsibility - At AGM Precision Machining, we believe that unparalleled quality IS our business. AGM's engineering department excels in developing custom designed components and systems for many diverse and demanding industries, and can help you take your project from beginning design to full production. AGM Precision Machining offers production-grade rapid prototyping services for part testing and marketing aids, including 3D printed parts and standard one-off prototypes. No project is complete without being labeled, that's why AGM providers Industrial labeling and packaging services via pad printing, laser etching, silk screening, rubber stamping, and basic labeling. AGM's certified welders provide professional MIG and TIG welding services for mild steel and 6061 aluminum. AGM Precision Machining is a service of AGM Container Controls, Inc. Located in Tucson, Arizona. AGM has been a proud supplier and service provider to the U.S. Aerospace Industry.